A real treasure of sweet harmony pop from the late 60s – and the kind of record that broke big on the blue-eyed soul scene! The title hit – "More Today Than Yesterday" – is a familiar number that still sounds great to our ears. 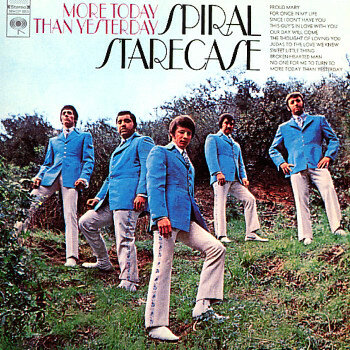 And the rest of the records got a similarly great style – arranged by Al Capps with some warm and jazzy undertones – a bit like Sunshine Pop of the time, but with styles that also seem to borrow a lot from late 60s Philly soul. Titles include "Sweet Little Thing", "More Today Than Yesterday", "The Thought Of Loving You", "Since I Don't Have You", "Our Day Will Come", and "Broken-Hearted Man". © 1996-2019, Dusty Groove, Inc.